Some dogs love to bark more than others. Over the years I have been a consistent dog parent of Great Pyrenees who are very much known for regular woofing. Around my house, we joke about there being awards for the Golden Woofie. We live out in the country and we have the luxury of not really having to worry about the barking but at the same time, it can be a bit much for us, especially when there is other wildlife about. Dog collars are not an option for us. Even those that use citronella spray are not great because if a dog really wants to bark they will do it anyway and just bark all the spray out and get back to doing what they want. Training methods and understanding are better long-term solutions! Some dogs have bark patterns. If your dog likes to bark at the neighbors coming in then you come to expect it. This barking comes and goes. For example, we have discovered that our Great Pyrenees really do not like the sounds of low and rumbly engines. A Toyota can come up the road and it will get much less of a response than a Chevy with its low rumble. 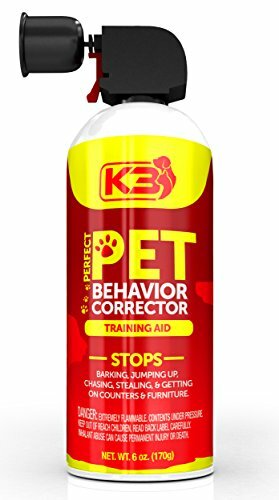 Perfect Pet Behavior Corrector Stops Unwanted Behavior in Any Pet – Barking, Jumping, Growling, Scratching, Digging – The Safe & Humane Way to Train Your Pet – 100% Satisfaction Guarantee Large 6 oz. This noise distraction helps correct behaviors by creating a hissing sound when needed. 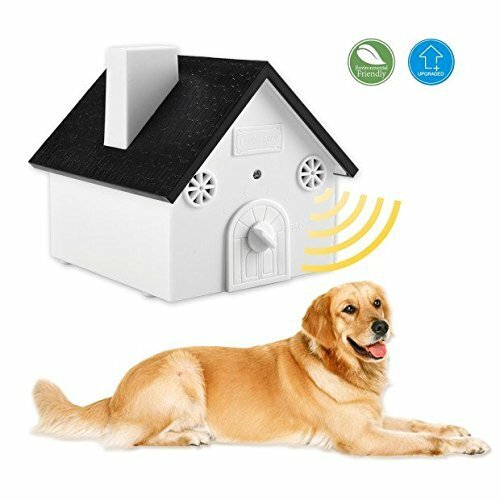 This is a cheap and humane way to get your dogs attention and it often leads to a dog that will stop barking when you ask. Simply use whatever voice command you normally use to tell them to stop barking. When this doesn’t work you can pull this out and that shows them there are consequences to their actions. This solution also works on cats. Sometimes dogs bark because there is a genuine concern. While you may be a good dog parent that checks food and water often, your dog may spill their water dish and just be letting you know. Danger may also be present. Some dogs get very much on edge if there are any creatures lurking about. Urban areas have a lot more wildlife than some realize! With no natural predators, sometimes it is amazing what thrives in the city and is scarce out in the rural areas. In my area of western NC, it is more common for bears and raccoons to get into things in the city than out in the country. Alas, some neighbors immediately go for the phone and animal control or even the police if barking gets to be excessive. This is a shame as it is often because people live next to each other for quite some time and not know each other well enough to be comfortable talking about a problem. The best thing to do is stay calm. In any animal interaction incident, there is a tendency for people to get a little too excited. Try to explain your situation and explain that you are going to take actions. If complaints truly are unreasonable, then you can mention this. Unreasonable means someone calling when your dog has made no noise and has been inside or there has been any threats or verbal abuse from neighbors. There are also some that will call if barking goes on for only 5 minutes if they are annoyed enough. This is an unfortunate reality about living close to others. If barking is being done strictly to get your attention or a snack, you have to be sure to not reward the behavior. This can be difficult because you want to get them quiet and not attract unwanted attention. Ignoring the barking is worth a try for a few times. If it doesn’t work you can always try other methods. quite effective when in comes to getting them to stop barking. all ages to do. Clicks signify that a dog is expected to do a task and is highly effective especially when taught to a dog at a young age. 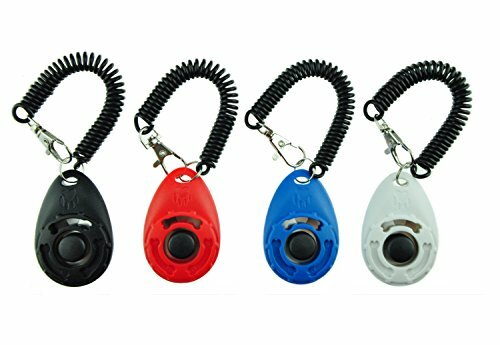 This set of 4 clickers can help ensure that you are consistent when it comes to training your dog. At this price it is easy to keep a lot of these around. The handy wrist straps makes sure that you don’t lose your clicker while allowing your hands to be free for other tasks. A light spray of water when dogs are barking excessivly is forceful but not very mean. While I would never recommend using a garden hose on your dog, a spray bottle filled with water and a light spritz in their direction can be a powerful deterrent. With some dogs it doesn’t take long to get real results. These are a relatively new product that is somewhat controversial. Dogs can hear them and you can’t. Sounds are better than a shock collar or similar but you will have to see if your dog is responsive to this type of thing. from their own dog barking too much. While a lot of the things you can do on this list are helpful, sometimes just a little bit of time can help. New surroundings or a sudden change can mean that your dog is set on edge. This can fade over time and sometimes it is all that is needed. The problem is if those around you get impatient with the noise during and adjustment time. Some dog breeds are very difficult to get to stop barking. If you live near people and have a dog that has a mostly guard dog background then you might be up for a challenge. This is one reason why if you know you are going to be living in a populated area you should consider the type of dog you get. If you already have the dog and are moving then you just need to take the time to curb the barking. Dogs that have been abused or neglected that are making a fresh start in a new and loving home can have a difficult time adjusting to their surroundings so patience and consistancy in training is critical to a smooth transition for everyone. Hey, we get it that it can get stressful and that it can be hard to remember to be consistent with your dog. The truth is that repetitive behaviors become ingrained into the psyche of your dog. When going on walks you need to have the tools to make sure that your dog has what they need. 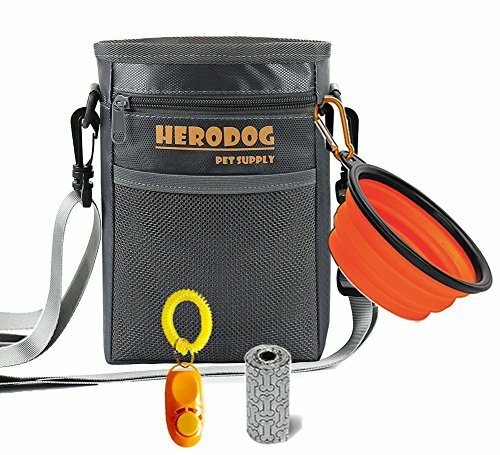 Here are a few kits that are good for training dogs on walks and getting them adjusted to life at the dog park. 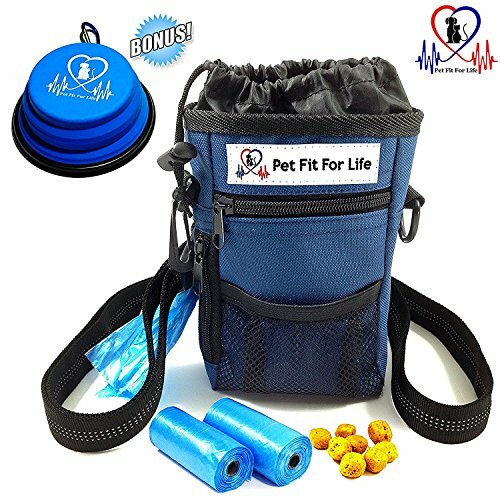 Some pet parents may find that having training supplies all in one bag even when at home in the backyard is useful and makes it easier to get dogs to learn to know when it is okay and when it is not okay to bark. Barking is an important part of a dog’s life. Some barking is going to happen and indicates that your dog is capable of reactions and has a certain level of awareness. Sometimes the dog chooses us in life and not the other way around. Barking is something that you can try to control to some degree. However, don’t expect a dog to be silent all the time because it is just not going to happen in most cases. Scout hopes this article has helped you find some better ways to combat excessive barking and have a better relationship with your dog!